First Nations activists may find themselves targets of the Conservatives' proposed anti-terror law, which could "criminalize [their] private thoughts," Mi'kmaq lawyer Pam Palmater warns the House public safety committee. First Nations activists may find themselves targets of the Conservatives' proposed anti-terror law, which could "criminalize [their] private thoughts," Mi'kmaq lawyer Pam Palmater warned the House public safety committee on Tuesday. She called on the government to withdraw its proposed anti-terror legislation entirely. Palmater, who currently holds a chair in indigenous governance at Ryerson University, began her testimony by acknowledging that the committee was meeting on traditional Algonquin territory — a fact that, she said, addresses the issue at the heart of the flaws in the bill, as it depends on the continued co-operation between First Nations and Canadian governments. "That's why you all get to sit here today," she told MPs. She condemned the decision to put forward the bill "without any details, analysis … consultation or consent on our part," which she called a "gross violation of our nation-to-nation relationship." Palmater went on to emphasize how important it is for First Nations people to be able to protest "validly enacted" yet laws they believe to be unjust. At one point, "it was legal to take Mi'kmaq scalps … confine us to reserves," she noted. "We had to break the law in order to preserve our lives, our physical security and our identities, and are faced with that same problem again in C-51," she warned the committee. In response to questions from New Democrat MP Romeo Saganash, she said that the bill, "as currently written would capture everything under Idle No More," as advocating for rights could be considered insurgency. "The second we do a round dance in the street without a permit, it becomes unlawful," she noted. Palmater also detailed how she is currently frequently monitored by law enforcement and government officials at speaking engagements and other events — even outside Canada. She also worried that provisions outlawing terrorist propaganda could be used to target First Nations people who believe themselves to be part of a sovereign nation. "All we have left are our thoughts, and our private thoughts will now be criminalized," Palmater told MPs. "My declaration of sovereignty — that kind of material on my computer — could be considered terrorism, a threat to national security because it's a threat to Canada's national security." During the second hour of testimony, Union of B.C. Indian Chiefs president Grand Chief Stewart Phillip echoed Palmater's fear that, as he put it, "under the draconian measures of C-51," he, too, could be considered a terrorist. The committee also heard from Insp. Steve Irwin, of Toronto Police Service, who praised the proposed law for providing law enforcement with necessary tools to combat the terrorist threat. During questioning, Conservative MP Diane Ablonczy invited him to offer his thoughts on fears that protests would be targeted by the new bill. "For our system to work, we do need people to protest, we do need checks and balances in the system," he told the committee. But he stressed that it won't be up to law enforcement — which he said tends to lean "hard right" — to decide what will be considered terrorism in some instances, as such matters require the consent of the public safety minister of the sitting government of the day. "It will require government and the powers that be to be very cognizant" of those concerns, he said. 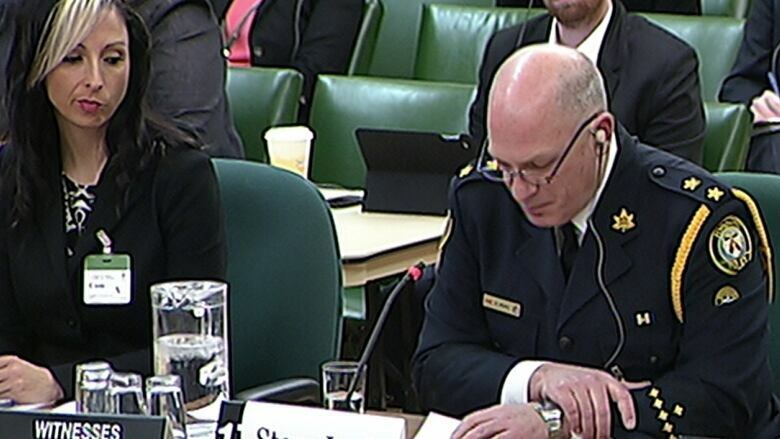 Also appearing during the second hour was Robert Morrison, a retired RCMP officer who was involved in a Treasury Board Secretariat initiative to establish a program for sharing information across Canada. He assured MPs that, in his view, the bill will ensure "accurate, timely sharing of information" while simultaneously protecting the privacy of Canadians. Finally, the committee heard from University of Ottawa professor and security expert Wesley Wark, who pointed to what he called a "lack of any substantial explanation" being put forward by the government on why these particular provisions are required. Instead, he said, the background and briefing material, and ministerial statements, simply repeat "boilerplate language" on the overall terrorist threat, and the need to combat it. He urged the committee to consider removing the section criminalizing the promotion of terrorism entirely. "While it may be emotionally satisfying, it operates at a remove from an actual terrorist act, and is, in effect, a speech crime," he observed — and one that could waste the time and resources of law enforcement and security agencies that could otherwise be devoted to investigating real threats. The committee resumed its review of the bill on Tuesday evening. Among those on the after-hours witness list was retired Supreme Court judge John Major, who was generally supportive of the bill, but added his voice to the call for increased oversight. On Monday night, the committee heard from former Conservative senator Hugh Segal, who currently serves as master of Massey College at the University of Toronto. He urged the government to consider expanding the current oversight regime, but reserved his most dire warning for the proposal to give CSIS the ability to request judicial authorization to breach charter rights. "That is a principle which is … overdone, excessive, unconstructive and violates a core Canadian value," Segal said. If it's left unamended, the courts "would strike it down very soon under any circumstance," he predicted. 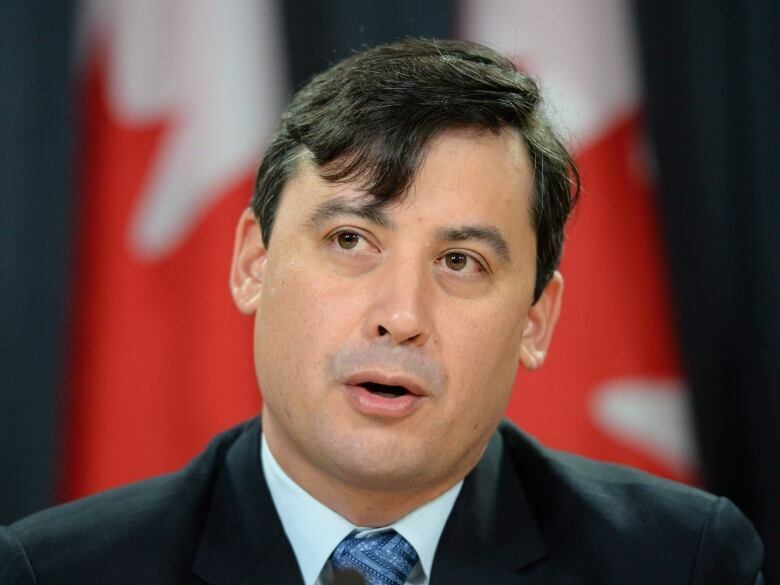 "The notion that we would give any judge the ability to, in a less than public context, set aside the Charter of Rights and Freedoms to facilitate a security agency being involved in lawful disruption strikes me as a core contradiction and deeply problematic.accidental"
Conservative MP Michael Chong has issued a statement on the bill that, while supportive overall, raised the notion of giving MPs, who are "directly and democratically accountable to Canadians," a role in the oversight process. "That greater oversight is even more important as we give these agencies new powers to combat terrorism," Chong wrote in the statement, which was posted to his website last week. So far, there's been no indication from the Harper government that it will address concerns expressed by other critics previously about adequate oversight for CSIS. The bill is expected to be sent back to the House by the end of the month, although it is currently unclear whether it might be amended when the committee moves to clause by clause next week.